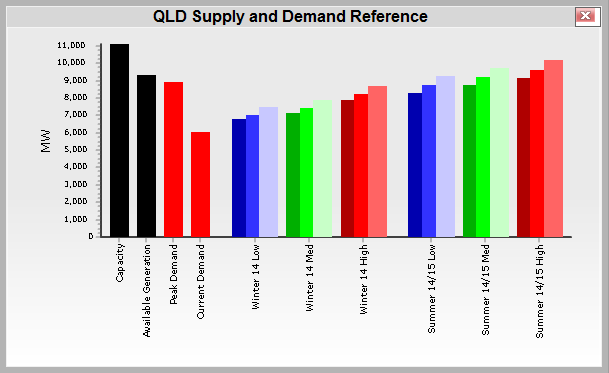 You can access the supply/demand reference by pressing the graph icon on any states demand box. The graph also shows maximum demand forecasts for two upcoming seasons. The series shown are 10%, 50% and 90% POE for low, medium and high growth scenarios.